Last Halloween, I proposed a few not-necessarily-horror games to play during this creepiest time of year. I ignored spooky stalwarts like Resident Evil and Silent Hill and focused on subtly scary titles like Batman: Arkham Asylum and Majora's Mask. Now I'm back with five more games that might have slipped your mind this Halloween. Conker isn't all bathroom jokes and sexual innuendo. It's also part gothic horror, at least in chapter seven, appropriately titled "Spooky." Everyone's favorite foul-mouthed squirrel finds himself in a derelict village set on a river of what looks like blood. In order to escape he must fight zombies through a graveyard, confront a vampire bat in a spooky mansion, and toss unsuspecting villagers into a grinder. The Grim Reaper, Gregg, even makes an appearance. 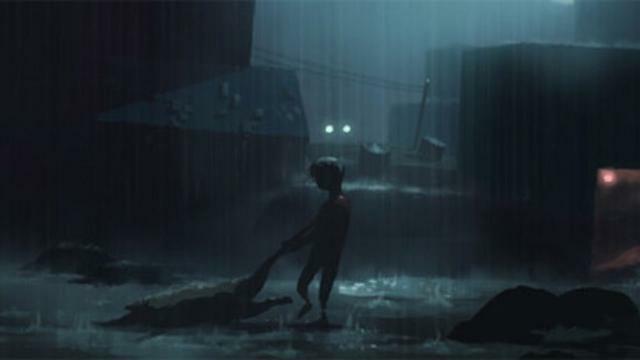 As it did with Limbo, developer Playdead manages to spin a delightfully skin-crawling tale with Inside. Players control a vulnerable, fragile young boy who infiltrates a human processing center. Horrors and dangers abound in Inside, including parasitic worms, possessed livestock, and security guards. Scariest of all are the many chase scenes in the game. The young hero must escape from armed men, vicious dogs, and long-haired, ghostly "mermaids." Metroid has long flirted with the macabre, but in Metroid Fusion the developers at Nintendo pushed even further into the realm of suspense and horror with SA-X. 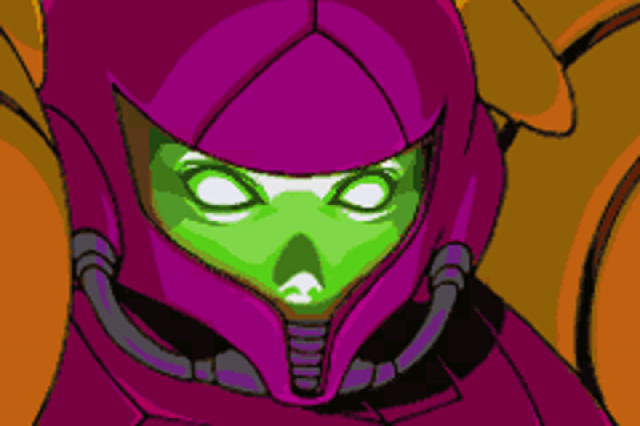 Samus Aran's main antagonist in the game, SA-X was the result of a merger between the "X parasite" and pieces of Samus's suit. SA-X appears at random moments throughout Metroid Fusion, forcing an outmatched Samus to run for her life. These moments are some of the most nerve-racking episodes in the entire series. The premise of Resistance —monstrous beings conquering the planet and transforming civilians into otherworldly creatures — is frightening enough. Yet developer Insomniac decided to double down on the scare factor in the sequel, introducing invisible enemies, monster-infested waters, and plenty of claustrophobic passages filled with zombified humans. Demon's Souls is a living nightmare. 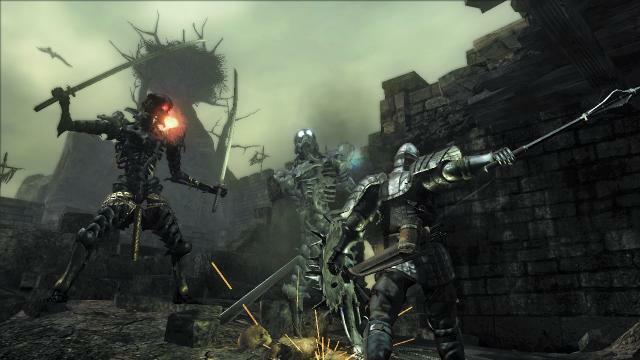 Through enemy, level, and sound design, developers at From Software created a creaking, groaning, deadly, decaying, and suffocating environment — a world where, excluding the nexus hub, safety feels forever out of reach. Death waits around every corner, whether in the form of the cackling Fat Official or the greasy Depraved Ones, complete with plague doctor beaks. That's my list. Sound off in the comments section with your own! Happy Halloween! We've finally made it to VGChartz's top 10 favourite Final Fantasy songs of all time. These are the ten songs that received the highest number of points during the voting, and they come from five different games that span three different console generations. If you haven't seen the previous articles yet you can view them here: Part 1, Part 2, Part 3, Part 4. It's very interesting that this is the first song from Final Fantasy X that we've seen in this top 50. And that's despite the game receiving more points than any other entry in the series. Naturally, that means you can look forward to seeing a few more songs from it in the top 10. Otherworld is one of the game's two vocal themes and this particular one plays twice over the course of the story. The first time is near the very beginning of the game, when Sin attacks Zanarkand and transports Tidus to Spira. The second one is near the end, during the last real boss fight inside Sin. Otherworld is something of a departure from the series' usual music. A metal track accompanied by harsh vocals sung by Bill Muir, the song's lyrics have sometimes been interpreted as mirroring Tidus' journey throughout Final Fantasy X. It's an unusual song for both the series and Nobuo Uematsu, but no less effective for it, and its placement this high on the list shows the lasting impact it made on those who played Final Fantasy X. When Uematsu began composing the music for Final Fantasy X alongside Masashi Hamauzu and Junya Nakao, he realized that the inclusion of voice acting in the series would necessitate some changes for how the music was handled within the game. In the past the game's music alone had been largely responsible for elevating the drama and mood of a scene, but this time he could rely on the vocals to carry some of that responsibility as well. A Fleeting Dream is one of several arrangements of the game's main vocal theme – Suteki Da Ne. The song is heard a few times, perhaps most notably in the ruins of Zanarkand when the party finally makes its way into the ancient city and towards the Final Aeon. It is a strikingly melancholic song, perfectly fitting the group's mood as it heads towards Lady Yunalesca and what will likely be its final moments together. Perhaps moreso than any other game in the series, Final Fantasy VII's soundtracks is especially well known for its battle music. This is reflected in the selection of songs from the game that got into the top 50 (four out of its eight songs on this list are battle themes). Fight On! is Final Fantasy VII's main boss battle theme and is heard during all of the game's boss fights except in ones against Hojo, Jenova, and Sephiroth. Over the years Fight On! has become one the most recognisable themes in the entire franchise, having been rearranged and performed live numerous times. The opening guitar riff especially has become one of the most easily identifiable musical sections in all of Final Fantasy. You're Not Alone from Final Fantasy IX is one of the most effective songs in terms of emotional impact ever composed for the series. In the game the song begins just as its main protagonist Zidane reaches his lowest point. After numerous hints about his true nature earlier in the game, he has just been told the truth about his origin and the purpose of his existence by Garland, one of the title's main villains. This revelation is what ultimately breaks his spirit and leads him to shun and reject the people closest to him. As the song plays in the background the player is forced to take on a series of increasingly difficult fights, initially with Zidane alone until his friends come to help him one by one, trying to snap him out of his trance. The song perfectly sums up the emotions and mood in these scenes, showing both Zidane's despair and the rest of the characters' compassion towards him, which is also reflected in the song's name. You're Not Alone is the highest ranked song from Final Fantasy IX. There are usually a few specific songs that are brought up time and again when discussing Final Fantasy character themes. Yet few are mentioned as often as the song that accompanies one of the series' most shocking and pivotal moments, namely Aerith's death. It is a startlingly effective scene, notable for its unexpected appearance that left many fans in shock. What made the scene truly magnificent, however, is its masterful use of music. It starts out with minimal background music, until right after Aerith is killed, when her theme begins playing as the camera follows the Holy materia down into the water. The scene itself has become one of the most iconic in video game history, and Aerith's Theme has become almost equally as well known. Aerith's personality and story is translated wonderfully into music through this theme, and Nobuo Uematsu himself has said that the song is one his favourites from Final Fantasy VII. First impressions are crucial as this is when the game needs to hook the player and keep them interested during what is often the game's slowest section. As such, it was imperative that the opening to Final Fantasy VIII was as effective as possible, and in terms of music it certainly was. To this day Liberi Fatali remains one of the most powerful opening themes in video game history. The song's name, roughly translated as Fated Children in English, refers to the game's main cast and their connection to each other and the game's villains. The lyrics, sung in Latin by a full choir, make several references to the characters and hint at the game's storyline. 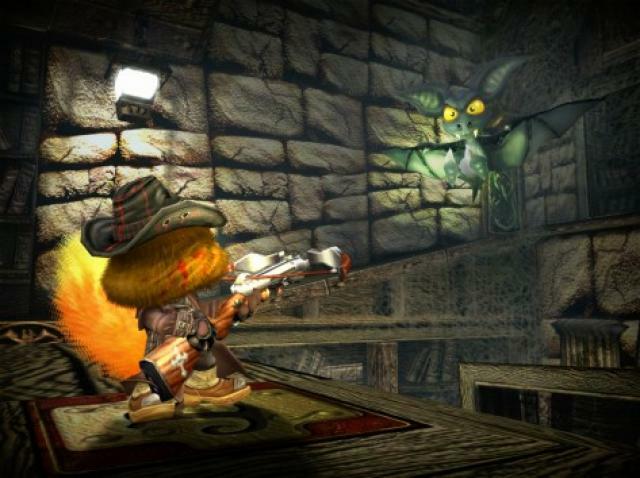 Elements from the song were also included in several other themes in the game's soundtrack. It's an excellent piece of music that does a magnificent job at drawing the player into Final Fantasy VIII. Suteki Da Ne is an interesting vocal theme within the series, as it is one of the few that was not translated into English when the game was brought to the west. Previous themes such as Eyes On Me and Melodies of Life were either written in English from the start or translated during localization. Suteki Da Ne was different, possibly due to it being strongly influenced by Asian music and the game's overall strong Asian tone and style. Uematsu was also interested in Okinawan music at the time, and this played a large role in RIKKI being chosen as the singer for the theme. Suteki Da Ne is essentially Final Fantasy X's main theme and its melody can be found in various other tracks within the game. The song itself plays during one of the game's most important scenes, when Yuna and Tidus share a romantic moment together in the Macalania Woods, while an orchestral version of it plays during the end credits. It's a rare feat when a piece of music from a video game practically transcends the game it is from, but a select few songs have been able to do just that, becoming widely known even among people who don't necessarily play video games. The Super Mario Bros. theme is an obvious example, but as far as music from Final Fantasy is concerned perhaps the strongest argument can be made for One-Winged Angel from Final Fantasy VII. Another example of the power of this song is how it has basically replaced Those Chosen by the Planet as Sephiroth's official theme song, to the point that the former is rarely even brought up these days when talking about the character, despite it being his original character theme. Few songs can claim to have made as huge an impact on the collective memory of gamers everywhere than One-Winged Angel did nearly 20 years ago. It is easily among Nobuo Uematsu's most well known compositions, and has remained a huge fan-favourite ever since the game's original release. The highest ranking song from Final Fantasy VI is the theme for Terra Branford, which is also the map theme for the world of balance and the game's main theme. As such various sections of the song are used in other songs on the soundtrack, usually during scenes focusing on Terra in some way. In addition, it is among the most well known and fondly remembered themes from the entire series. Terra's Theme has a rather sombre melody at its core, echoing both Terra's storyline and in many ways the game itself. It feels like a song with a lot of weight behind it, with many different meanings buried inside. Yet there is also a constant undercurrent of hope that is always present. It's an excellent song that reflects the themes and the world of Final Fantasy VI remarkably well. When the voting for this top 50 began, there was never really any doubt which song would top the list in the end. To Zanarkand from Final Fantasy X was by far the most popular song from the very beginning, amassing nearly twice the amount of points as its closest competition. It also accounted for over half out of all the points FF X received; further proof, if any were needed, of its status as one of the series' most beloved songs. To Zanarkand plays a few times during key moments in the game and is also rearranged several times throughout. It is, together with Suteki Da Ne, effectively the main theme of Final Fantasy X. The song serves as the introduction to the game's world, playing during the opening when the party is sitting around a campfire at the entrance of Zanarkand and about to start the final phase of its journey. It also has an interesting history, as Uematsu had to convince the development team to use the song in specific scenes, but it wasn't until they tried it for the title's opening that they realized how well it actually worked in the game. It is certainly one of Uematsu's best works ever, and is number one on this countdown for good reasons. And that is the end of the countdown. Are there any songs that you were surprised didn't make it onto the list? Feel free to share them in the comments section and, as always, thanks for reading. With Titanfall 2 due out tomorrow, it seems like a good excuse to revisit the 2014 title that started it all. 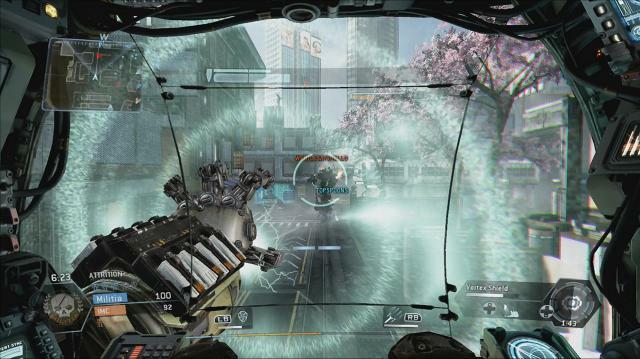 The original Titanfall first appeared on the national radar at E3 2013, where it quickly became a critical darling. It won over 60 awards, including an unprecedented six E3 Critics Awards. Amongst the gaming community, though, the reactions were more mixed. Some saw it as deliverance from an increasingly stale and safe genre. Others dismissed it superciliously as "Call of Duty with mechs." What explains the divergence in opinion? First-person shooter fatigue surely played a part. Yet just as real estate is all about "location, location, location," all too often video games are about exclusives, exclusives, exclusives. The fact that Titanfall found a home on PC, Xbox One, and Xbox 360 — and not PS4 — rubbed some fans the wrong way. As a result we saw many Xbox fans championing the game as the Second Coming, and many PlayStation fans doubting its quality and appeal. So, over two years later, who was right? Well, both sides in a way. 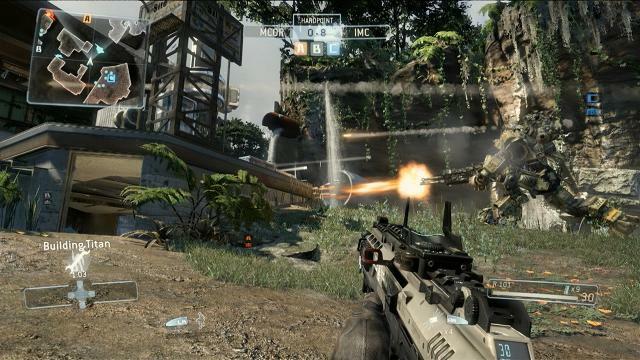 On the commercial front, Titanfall failed to capitalize on the enormous level of hype surrounding the title in the months leading to launch in March 2014. Forbes' Paul Tassi wrote in April that "very shortly after release, the buzz seemed to fade abnormally quickly." The exact number of units sold across three platforms is difficult to discern — developer Respawn boasted of 10 million unique players and Electronic Arts CFO Blake Jorgensen stated "a little more than 7 million units". Our estimates currently put it just shy of 5 million sold at retail. Regardless of the actual figure it's safe to say that Titanfall was neither the blockbuster hit nor the Xbox One "killer app" that many anticipated. Why did Titanfall's buzz drop precipitously in the months after launch? I'd argue it hinged on two factors: lack of modes and zero offline content. Although a large number of modern gamers enjoy broadband internet and are accustomed to playing online, many remain wary of online-only games. Server support is finite and can end suddenly. Look at Dead Star, which is losing server support on November 1 after only seven months on the market, leaving only the tutorial playable. The fact that Titanfall launched with only five modes — all multiplayer —also hurt post-launch momentum. A proper single-player campaign would have done wonders, as would a co-op mode or a free-for-all competitive mode. Extra content, including "Frontier Defense" — an addictive co-op mode inspired by Gears of War's "Horde" mode — and "Deadly Ground" did arrive eight months after launch, but it was a case of too little, too late. So on the commercial side of things, the Titanfall detractors were more or less correct. In terms of quality, though, the Titanfall believers found their faith justified. Put simply, Titanfall is one of the most inventive and engaging shooters in years, a must-have title for Xbox One owners, and the all-around best first-person shooter of the eighth generation (so far). Why is it so good? Well, the answer, paradoxically, has a lot to do with why many players ignored or forgot the game: the singular focus on competitive multiplayer. 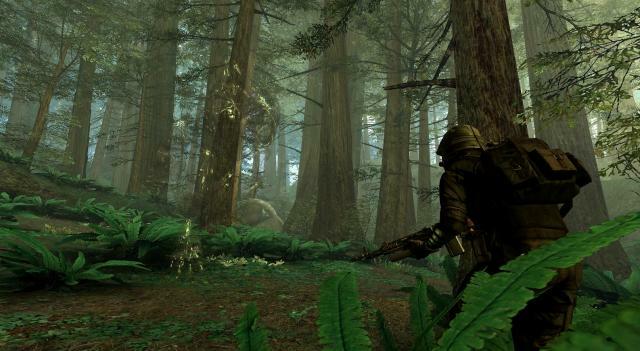 Respawn's deep focus on multiplayer allowed the studio to forge one of the most accessible and balanced shooters in a generation. Staffed with industry veterans who had worked previously on Call of Duty 4: Modern Warfare and its sequel, Respawn was able to draw on its past experiences and pave a road toward the future of the genre, focusing on player mobility, survivability, and the merger of single-player tropes with multiplayer action. On the mobility front, Respawn scored a home run. Titanfall's pilots are fast, agile, and capable of dashing across maps like a ring-tailed lemur. 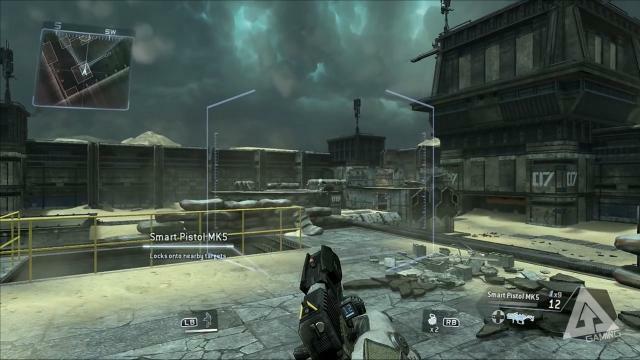 The game features maps that are impressively large, vertical, and open for exploration — a far cry from the plodding, mostly-flat maps in rival shooters. Titans are of course bulkier and slower but add even more flavor to each match. Equally important was survivability. 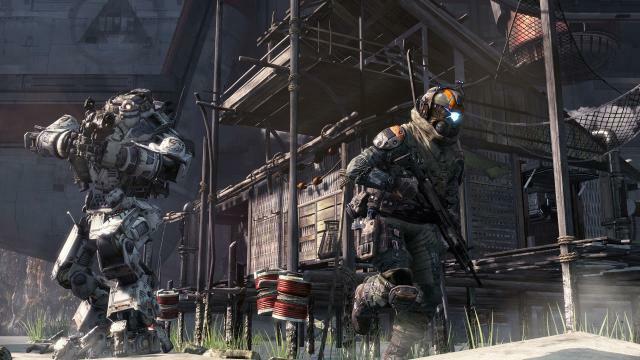 Titanfall producer Drew McCoy explained a few months after the game launched that Respawn "looked at how you increase a player's life span without reducing the lethality of it, because that time from to kill to kill is one of the big hooks. Players like getting constant kills — they don't like being killed constantly." Enter Titanfall's much-maligned AI bots, which ease novice players into the game and act as a buffer of sorts between opposing pilots. 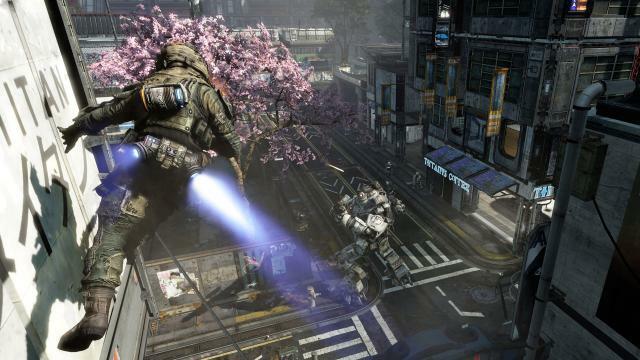 Last but not least, Respawn infused elements common to single-player campaigns into Titanfall's competitive multiplayer. With cinematic introductions, AI soldiers dotting the landscape, and an epilogue that follows every victory and defeat, each match feels like a small battle in a much larger war. Even a loss can feel like a live-to-fight-another-day scenario. Although Titanfall failed to reach EA's lofty sales expectations and moved far fewer Xbox One units than anticipated, it stands today as a shining example of the first-person shooting genre. By drawing in creative minds and focusing deeply and intently on a single concept — competitive multiplayer — Respawn created the heir apparent to Modern Warfare, and by prioritizing mobility, survivability, and immersive single-player "moments," forged the most disruptive shooter since 2007. Sony Interactive Entertainment announced MLB: The Show 17 will launch on March 28, 2017 for the PlayStation 4. "For anyone who picked up a baseball glove or a video game controller in the last 25 years, there is no other name more synonymous with baseball in the 90’s and 2000’s than this year’s cover athlete for MLB: The Show 17," said Ramone Russel, the Sr. Community Specialist & Game Designer at San Diego Studio. "Destined for greatness, no player entered the Big League with more hype than the first pick of the 1987 MLB draft, and no player entered baseball’s Hall of Fame with a higher percentage of the vote than “The Natural.” A legend both on and off the field, “The Kid” inspired a generation of baseball fans with electric play, a contagious smile, enviable flair, and a swing that’s been imitated but never duplicated for almost three decades. "Almost twenty years since his last appearance in a baseball video game, Ken Griffey Jr. returns to the digital diamond as the cover athlete of MLB: The Show 17. We’ll have more details on the cover athlete who will be featured on the Canadian version of the Standard Edition soon." 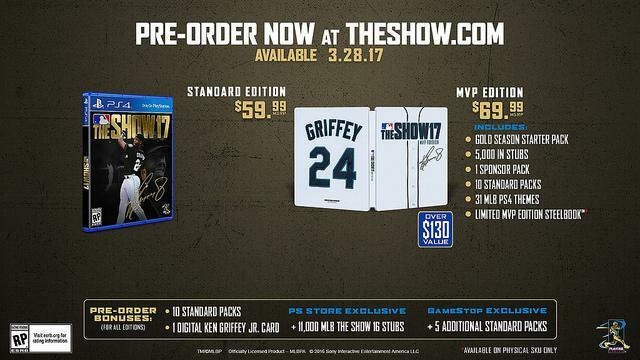 Pre-orders for the game will include 10 bonus Standard Packs and a Ken Griffey Jr. Card. Pre-orders at GameStop will receive an additional 5 Standard Packs. 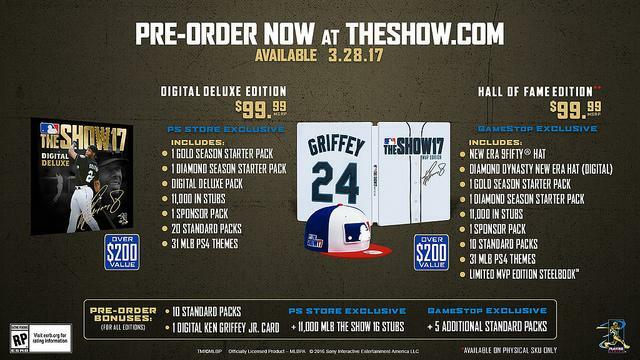 Pre-orders through the PlayStation Story will earn instantly earn players 11,000 Stubs for MLB: The Show 16. Sony Interactive Entertainment Europe announced three new PlayStation 4 bundles for the region that will be made available in November. All three bundles come with a 1TB PlayStation 4 and a copy of Uncharted 4: A Thief’s End, as well as two other games. Microsoft has added three titles to the long list of Xbox 360 games that are playable on the Xbox One through Backward Compatibility. The games are Rage, Killer Is Dead and Shred Nebula. Other recent games include The Orange Box, Joe Danger 2: The Movie, Sonic & All-Stars Racing Transformed, Lost Odyssey, Toy Story 3, Bayonetta, Call of Duty 2, and Red Dead Redemption. Sony Interactive Entertainment has released a behind-the-scenes video for The Last Guardian that showcases the making of the music in the game. "We’re happy to announce that a The Last Guardian Composer’s Choice PS4 Music App of the score featuring 19 tracks will be available separately at launch via the PlayStation Store," Producer Dais Kawaguchi told PlayStation Blog. "The soundtrack app supports both stereo and surround playback, and also allows users to export all the tracks as stereo MP3 files via a compatible USB drive. The soundtrack will also be available via iTunes at a later date. "For audiophiles and collectors, a Vinyl release of the OST will be available in December. We’ll have an update on exact release timing and pricing for that version at a later date." The Last Guardian launches for the PlayStation 4 in North America, Europe and Japan and December 6 and in the UK on December 9. 505 Games announced Abzû will be getting a release on retail shelves for the PlayStation 4 and Xbox One in January 2017 for $19.99. "Abzû is an epic descent into the depths of the sea where players explore the mystery and wonder of the ocean, while the distinct art style blends beautifully rendered ocean environments alongside a deeply emotional narrative," said 505 Games' Dan Hevia. 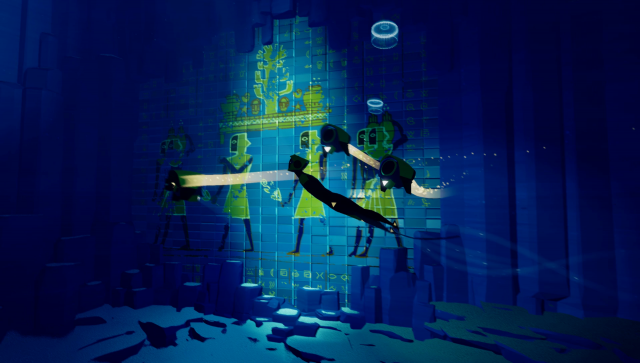 "As ‘the Diver,’ players will uncover their true connection to the ocean, as the world around them begins to unlock its secrets. Fluid swimming controls allows the Diver to interact with lush kelp forests; thousands of fish and hidden worlds, which await her on her quest." Abzû originally released as a digital title for the PlayStation 4 and Windows PC via Steam in August. This will be the first time the game is made available on the Xbox One. Pokémon Sun and Pokémon Moon are nearly a month from release and it has already broken two records. It is the most pre-ordered game in Nintendo history and is the most downloaded Nintendo 3DS demo ever. Pokémon Sun and Pokémon Moon are due out November 18 in North America and November 23 in Europe for the Nintendo 3DS. Nintendo President Tatsumi Kimishima in an interview with Bloomberg discussed a wide range of topics. He was surprised that Nintendo's stock dropped following the announcement of the Nintendo Switch. He added that Nintendo has a lot more to show with the Nintendo Switch and the console will have a wide range of accessories. "It may be appropriate to call them accessories," said Kimishima. "Or it might be better to call them add-on hardware. It’s probably more correct to call them accessories. You can assume that there will be a wider array." Nintendo did not show off or announce specific titles for the Switch during the reveal trailer on purpose. The company wants people to try the device out for themselves and experience the software. "One thing we still can’t show is the software lineup," he added. "We want people to touch the device in January and experience the software for themselves." Kimishima ruled out the possibility that the Switch would work with hardware from other companies for now, however, he did say "we are interested in VR." "VR offers new ways of playing, but that depends on what kind of software can be played," he said. "If you ask us whether there are any possibilities, we can’t say no. 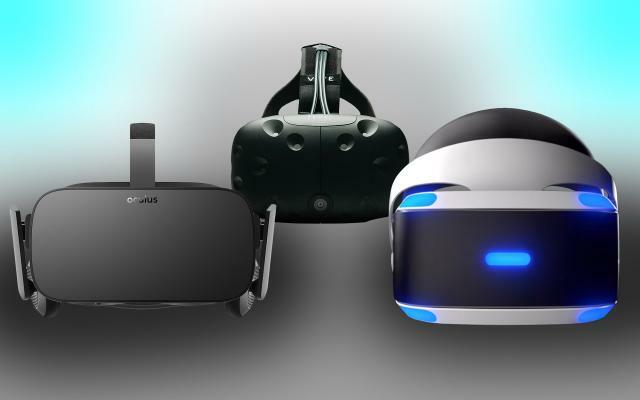 It may be that we will build VR software titles, I think that opportunity is available to us." 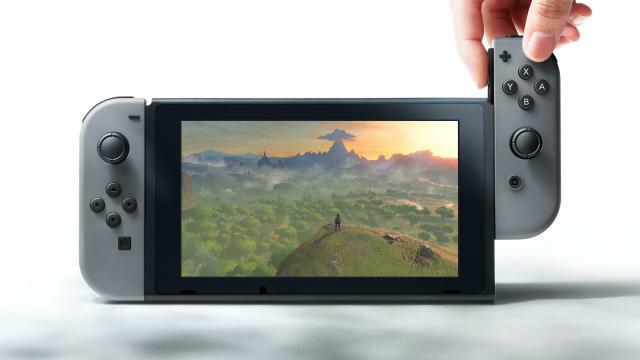 Nintendo will reveal the release date, price and games lineup for the Switch on January 12.